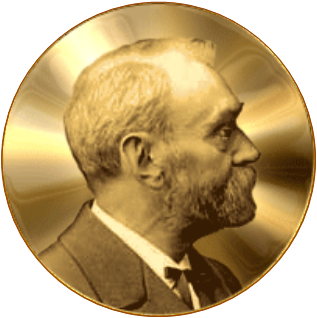 Alfred Nobel Was Also Known as "The Merchant of Death"
Today I found out Alfred Nobel, who left most of his fortune to start the Nobel Prizes, was once nicknamed “The Merchant of Death”. The “merchant of death” title was given to him due to Nobel inventing, and making most of his vast fortune off of, dynamite and other types of explosives, such as “ballistite”, which was the precursor to quite a lot of military grade explosive devices. When Nobel read this, he began thinking of how to improve his public image after his death and decided on leaving his enormous fortune to fund a set of prizes named after himself. The Nobel Prizes were created as awards for people who made the greatest contributions to mankind in subjects that interested Nobel, namely Physics, Chemistry, Medicine, Literature and Peace. Nobel did a lot of his own work in Physics and Chemistry and was an enthusiast of various literature of the day. He also saw the benefit to advancements in medicine. The “peace” prize was thought to have been suggested and promoted by his former lover and secretary Bertha Kinsky, who later won the award in 1905, just a few years after the Nobel Prizes were established. This is thought to have appealed to him because of his reputation as a war monger, and a huge point to the Nobel Prizes, as stated, was to fix his reputation as a “merchant of death”. All total, Nobel left 94% of his fortune to be used towards the Nobel Prizes. His total fortune, adjusted for inflation, would be worth about $250 million today. Each recipient of a Nobel Prize receives a gold medal (18 carat green gold which is then plated with 24 carat gold), a certificate, and some amount of money which varies from year to year. In 2009, that sum was about $1.4 million. Up to three people can share an award. When this happens, it is up to the awarding body to decide how the money is divided amongst the winners. Most winners end up donating their award money to various causes and charities. When Mother Theresa won a Peace Prize, she even refused to go to the award dinner, stating that the money could be better used elsewhere. The $7000 that the award dinner costs was then donated to a charity in her name and the dinner was canceled. Curie’s notes from the 1890s are still today considered too dangerous to handle without protection due to the high levels of radioactivity. They are stored in lead-lined boxes. Neither she nor her husband, of course, knew anything about that and handled radioactive items all the time in their research. She eventually paid the price for this, dying from aplastic anemia. Her husband was killed after being run over by a horse drawn carriage some 28 years before Marie Curie herself died. This story is actually a myth. The purported obituary does not exist. @Glenn: And your sources are? I don’t really need sources to prove that an obituary *doesn’t* exist, but according to Kenne Fant, Nobel’s biographer, no one has ever found the supposed obituary, and when I looked through your sources, I didn’t see it either. The Nobel Foundation itself admits that Nobel saw his own obituary ! Alfred Nobel was one of the biggest manufacturer/exporter of military arms.